What does it mean to have faith? This question means something different to every person and is categorized and signified by numerous factors beyond the simple aspect of religious designation. Director Martin Scorsese has dealt with this concept of faith and the doubt that comes with it throughout his entire film career. From the conflict of Jesus in "The Last Temptation of Christ", the maturation of the Dalai Lama in "Kundun", the divisiveness of clashing principles in "Gangs of New York", faith played a prominent role in each of these films. You can even analyze further the non-verbal imagery that Mr. Scorsese displays in his films and find aspects of faith throughout; the introduction of convict with a cross tattooed on his shoulders in "Cape Fear" is an easy example. 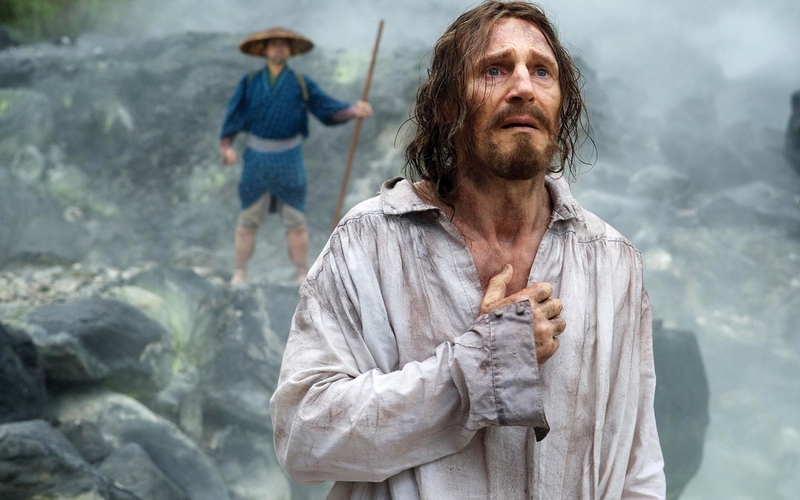 Faith can even be found in the ambition of Mr. Scorsese as a filmmaker, who has waited decades to create the passion project "Silence" which is adapted from the 1966 novel by Shūsaku Endō. 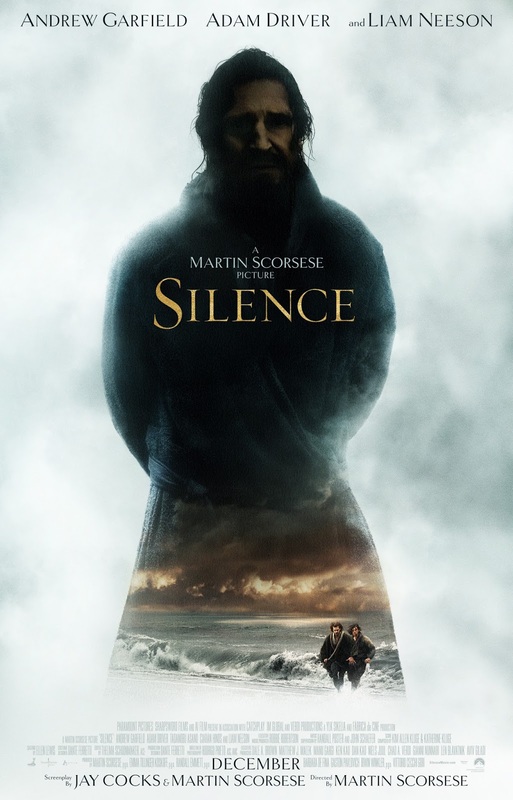 "Silence" is a film about how one chooses to have faith and the challenges that come with expressing your faith within the world. It's a film that beautifully and complicatedly displays this aspect in every frame, a film that in less experienced, talented hands would not have the evocative power that Mr. Scorsese floods into every moment of the film. 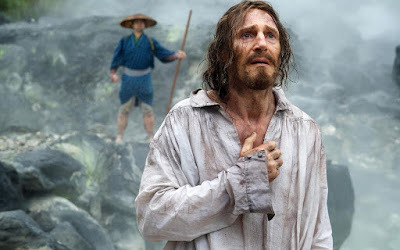 The premise is simplistic; it's a story about two Catholic missionaries, Rodrigues (Andrew Garfield) and Garrpe (Adam Driver), who journey to Japan to find their mentor (Liam Neeson). The priests have been informed that their respected mentor committed apostasy, a renunciation of the faith. Christianity has been outlawed during this time in Japan, leading to violence and persecution against any person practicing the religion. Rodrigues and Garrpe, fearing for their lives and the lives of the people worshipping in secrecy, are left in a state of doubt and in a struggle of faith. There is much to admire in the beautiful yet brutal “Silence”. The calmness of the camera during moments of crisis and conflict, the patience to ask questions of the viewer without easy explanation, the atmosphere that evokes a connection with natural sound rather than a big composition; it’s everything that you’d expect from an auteur like Mr. Scorsese. The meticulous nature of the filmmaking techniques are completely obvious, as are the odes to Japanese filmmakers like Akira Kurosawa and Kenji Mizoguchi; these moments craft some of the best images in film during 2016. While all these elements create an intoxicating film, there is so much more that is being proposed within the quiet narrative. The narrative consistently reverts back to the aspect of faith and doubt. The question, "What does it mean to have faith?”, is painstakingly analyzed throughout the film to lesser and greater degrees throughout. To call it complicated would be an understatement because the themes in this film hold such a specific, personal, and experiential quality with different people. Some may feel that at times Mr. Scorsese seems to hamper the purpose with an abundance of repetition while others may see this is a recurring link to the challenges that face people of faith. Again, it’s never completely defined one way or another. Mr. Scorsese offers scenes and images meant to create personal examination. It’s fascinating and infuriating at times. The silence in the film reflects the role of God to the people that worship Him, call upon His name, and suffer tremendously for Him within this film, it's an examination of the concepts associated with having faith in something or someone. The silence also displays the struggle with doubt and belief, which is always present regardless of how faithful one may think they are. "Silence” is a complicated experience, but it’s a worthwhile experience for any cinephile or Martin Scorsese fan. It’s fascinating filmmaking from one of the best filmmakers of all time.